During this crucial election cycle, I am happy to share some of my interesting experiences as a first time participant in a get out the vote neighborhood canvassing effort for my locally organized political campaign efforts. Let me just begin by saying that now is the time for all good citizens to come to the aid of our country in this pivotal moment by getting involved in local political processes, as I did a few days ago. I am talking specifically about door-to-door neighborhood canvassing. It was my initiation into participatory democracy beyond diligent voting. Try it! I know you will like what you find and be a convert as am I. What follows is my story of political canvassing 101. Learning the basics. 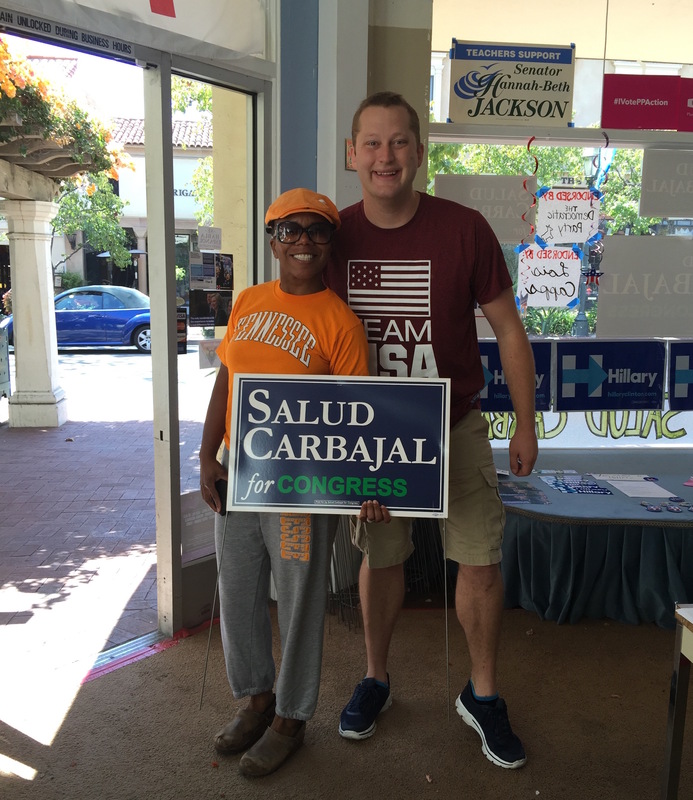 It was a beautiful Sunday afternoon in early September 2016, and our designated canvassing locale was a neighborhood of registered voters in Goleta. Our goal was to ascertain if our listing of registered voters could be counted on to turn out for our candidates on election day (November 8th). In the spirit of full disclosure and political transparency, let me add that I was participating in this organized neighborhood canvassing event as a member of the Santa Barbara Women’s Political Committee (WPC), a non-partisan volunteer organization of women volunteering to support feminist causes and political agendas affecting the lives of women and girls in the greater Santa Barbara and Goleta areas. As a member of the WPCs Candidate Development Committee, I was excited not only about helping to organize the 2016 Elections’ canvassing activities, but I was equally excited to be an actual canvasser walking through neighborhoods on behalf of local political candidates for the first time in my life. What a revelation! Since this was my initiation into this much vaunted and storied practice of active participation in our political process, I had no frame of reference for what to expect or what was expected of me. In my capacity as a Candidate Development Committee (CDC) member, I volunteered eagerly to attend the WPC’s Canvassing Training and Event Coordination on that Sunday. 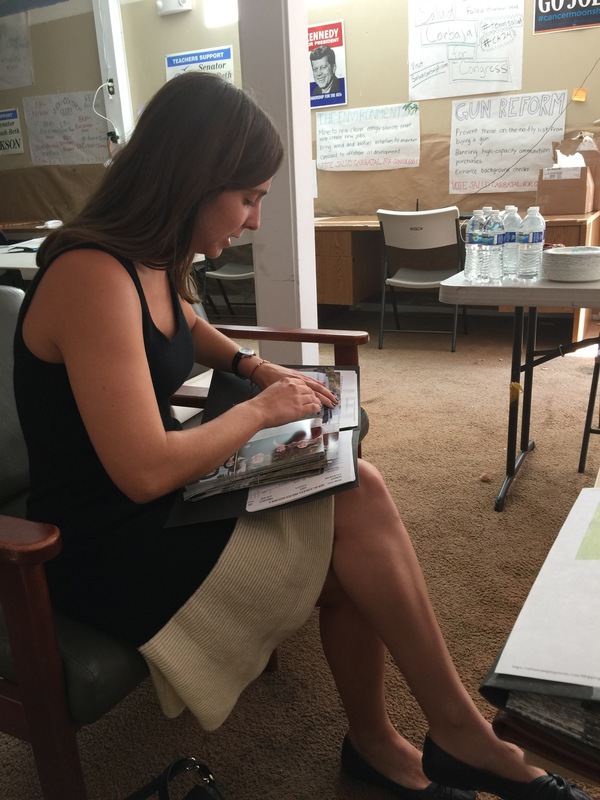 What follows is a two-part summary that will comprise what I am calling “Political Canvassing 101.” I am including a few snapshots of the Canvassing Training portion of our day’s activities. As a novice at being a neighborhood canvassing representative, I was too busy learning the ropes to take any photos out in the field (though I wish I had for illustrative purposes). At an earlier CDC meeting, committee members followed-up on the great interest members expressed in our conducting training exercises for neighborhood canvassing events. WPC member and political consultant Mary Rose agreed to lead the canvassing training meeting. The CDC chair Beth Schneider and co-chair Bev Herbert, Mary Rose and the rest of the committee members settled on a few essential topics most pertinent to novice neighborhood canvassers. (Q) Which neighborhoods do we target? (A) Addresses and names would be provided by campaign headquarters. (Q) What are we asking of registered voters? (A) If they have decided on their preferred candidate? If they support our candidate, and if we count on them to vote in November? And, we also want to know if we can we provide yard signs, informative brochures. Finally, we ask if they are willing to canvass or serve phone bank duty on behalf of our candidates. (Q) Do we only knock on doors of supportive voters? (A) No. Even non-supporters may be persuadable. Do not debate with voters about candidates or issues. Ever. Other best practices I learned for canvassing effectively were: pairing up new volunteers with experienced ones; introducing yourself to registered voters by stating your first name and saying whose campaign (and organization) you represent; and if voter data sheets do not specify the household’s candidate preference, ask if they have made a choice, no need to ask which candidate. It is okay to ask if they can support your candidate, and/or if they would like brochures/flyers. Finally, if no one is at home, leave informative materials on the premises, preferably in the door jam, or secured under a door mat. The idea is to ensure that candidate materials will be seen and collected. After participating in the 30-45-minute Canvassing Training meeting that Mary Rose led, I gathered up my provided folder of registered voter materials, got paired up with an experienced canvassing volunteer, and headed off to our designated canvassing locale. The idea was to have me shadow my experienced team member for a few of the houses to get the hang of the approach and tone of delivering our opening messages. I was careful to dress in a comfortable and Casual-Friday sort of business attire. I knew to wear comfortable shoes since extensive walking is what canvassing is all about. What I did not know to do was BRING A CANVASS BAG to contain the candidates’ promotional materials and all the other canvassing data materials. Since I walked with my regular purse, the bulky folder and the neighborhood data sheets gathered on a clipboard, by the end of the 3.5-4 hours of so of walking, my left arm and shoulder were very sore the next morning. Key lesson learned. 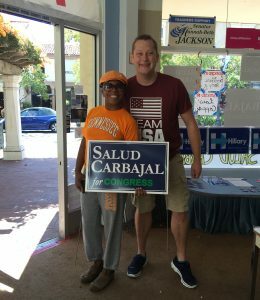 Let me shift now to a few observations and occurrences that struck me as I canvassed in the Goleta area for Salud Carbajal and Joan Hartmann. First of all, I was very lucky to be paired with one the best canvassers around (who I will call Nessa). You see, Nessa not only was very experienced and knowledgeable about the practicalities of canvassing door-to-door; she was also a master dog-whisperer. It did not take me long to appreciate her valuable skill in that crucial area. Secondly, I am afraid of big dogs, and it seemed that every other house we visited had a big dog or two (I exaggerate a bit, but not much). Nessa taught me to pay attention to slightly open doors and gates that could signify a dog being present – it was true. In such case cases of doors and gates being left ajar, we stood away from the doors, or giggled the closed gates; if no dog came rushing, it was safe to approach and knock on the door (Great tip). Another dog-friendly move Nessa taught me was to extend a hand to the dog but place that outstretched hand very low or on the ground, and stroke the dog’s under chin or under its collar-bone area. Patting the head is a no-no as a dog could view it as aggressive. Big help. Third, after we teamed up to approach the first few households, I was not ready to split up and take the opposite side of the street solo, as is the normal practice. You see, as an African American woman, I admit to being a bit concerned about approaching those houses alone in a predominately white area. Suffice it to say that my hesitation was not only due to my fear of big dogs. My race had something to do with it as well. I was very relieved to find the voters we contacted were genuinely welcoming or polite in all cases. By and large, the voters we encountered seemed to fall into three categories: 1) very warm and welcoming; 2) receptive if skeptical; 3) courteous decliners. We experienced one memorable incident where a resident fit into categories 1 and 2 combined. This was a single issue voter who was very vocal and passionate about a specific issue. This resident also had a huge (friendly) dog that joined us outside. This voter was quite animated and let’s just say was happy divulging too much information (TMI). 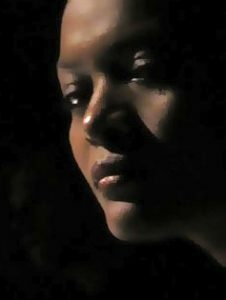 Nessa taught me to listen patiently and thank the person(s) for his or her time; and after checking off our voter data sheets, we could then move on to the next address. She said some encounters take longer than others, and on the whole (between those residents not at home and the talkative ones) it balances out in terms of getting through our canvassing area in a reasonable amount of time. Fourth, I was particularly struck by the number of residents who thanked us for canvassing and for taking our personal time to get involved in local politics. One resident even scooped up passion fruit dropping from her tree to give to us. A few even said they would volunteer to canvass or do phone duty for our candidates, which we noted on the individual voter data forms. As we wrapped up our canvassing duty for the day, a resident in the neighborhood was out walking his beautifully groomed dog (a Golden Retriever—I think it was). He and Nessa were chatting while she worked her dog-whisperer magic. I approached after finishing my last door-knock on this comfortable cul-de-sac (residents were not at home). This next to last neighborhood encounter provided me an opportunity to benefit from the only question I asked at the earlier training meeting; I asked Mary if we canvassers needed to know the names of our candidates’ political opponents. Mary said it couldn’t hurt, so I jotted down the names just in case. Back at the conclusion of our canvassing activities, the neighbor with the beautiful dog asked what I thought the chances of success were for Carbajal’s opponent. I recall saying, it is difficult to tell who would prevail, which is why everyone must be sure to vote. Since he was outside of a residence in that neighborhood, walking his dog, I did not feel comfortable engaging him about specific political issues. It seemed he was not a supporter of Carbajal, but he was very gracious about thanking us for our canvassing work. In conclusion, I did have one final experience to share. As we left the nice, elderly gentleman and his dog, I asked Nessa if I should return to the house on that block where the husband whom I just polled had mentioned to me that his wife would be returning shortly and that I was welcome to return. Seeing the wife return from her errands, I once again approached that house. The husband was a friendly voter who was supporting our candidates. Since we must poll each person on our list residing at the household, I could not take the husband’s word for his wife’s political choice. She was as pleasant as her husband despite having been on errands, shopping bags in tow. I found it amusing that she was adamantly undecided, and declined our informational flyers/brochures. She shared some personal information and thanked me for my efforts, but did not want to discuss her politics. There was clearly a gender divide in that household, but not in the way I expected. Finally, I can say that I truly enjoyed my first ever canvassing experience. I would do it again, without hesitation, EXCEPT for the unavoidable fact of encountering big dogs. My solution to that problem is to do phone bank support for our candidates now and up to the November 8th.